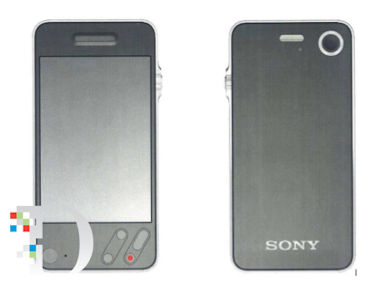 The trial of Apple versus Samsung kicked off with another debate on whether Samsung should be allowed to present evidence on whether Sony influenced the design of the original iPhone. The judge on Sunday said that Samsung would not be able to present the “Sony Style” issue as part of its opening argument. Monday’s debate was to whether Samsung would be allowed to introduce testimony from Shin Nishibori, the former Apple designer who created a Sony-inspired take on the iPhone. Judge Lucy Koh said she was trying to understand how, if at all, Nishibori’s testimony could be allowed without introducing previously excluded evidence. Samsung’s lawyers argued that Nishibori’s testimony could rebut Apple’s argument that Samsung is “slavishly copying” Apple. “Just like we look to competitors to get inspired, so does Apple,” said Samsung’s lawyer Charles Verhoeven. Of course, getting Nishibori in court could also prove thorny. A lawyer representing the former designer filed a letter with the court on Sunday, saying that Nishibori would not appear, and is in Hawaii recovering from various medical issues. In a Motion For Reconsideration also filed today, Samsung argued that disallowing the “Sony style” argument will compromise the trial. “The Court’s Order striking numerous demonstrative exhibits from Samsung’s proposed opening statement for the jury trial set to begin today threatens the fundamental fairness of this trial and will compromise the integrity of any verdict,” the company said. The arguments came just ahead of jury selection in the case, which is set to begin shortly. Update, 9:55 a.m.: The prospective jurors have just been brought into the courtroom as the process of jury selection begins. 10:40 a.m.: Jurors are being probed for potential conflicts. It’s clear this trial is taking place in heart of Silicon Valley. Several of them have ties to Apple or Google including stock owners, former consultants, etc. Asked whether they had read books about Apple or Google, one potential juror held up his hand and said he had read an article in the Wall Street Journal article today, holding up the newspaper. “I’m going to ask you if you wouldn’t mind recycling that,” Judge Koh told the juror. Potential jurors are now being asked what phone they have, who makes it and whether they are considering buying any Samsung or Apple products in the near future. This is going to take a while. 11:06: After an enlightening look at the tech habits of San Jose shoppers, would-be jurors now being asked if they have read anything about the case. Lots of hands have gone up. All but one juror say that what they have read would not keep them from being fair and impartial. 11:25: As part of quizzing potential jurors about whether the trial would be a financial hardship, Judge Koh says evidence portion of Apple vs. Samsung trial should run through at least Aug. 17 and possibly through Aug. 20 or Aug. 21. 1:10 p.m.: Just back after a short lunch break. It’s looking more likely the opening arguments won’t happen until Tuesday as everyone has agreed both openings should take place on the same day. Plus, there’s still a bunch more questioning of the prospective jurors still to go. A few jurors who said they could not be impartial for one reason or another were excused just before lunch. More detailed questioning of those that remain is slated to start shortly. 1:45 p.m.: Much of the questioning this afternoon centers around prospective jurors experience with technology and patents. In another sign this trial is taking place in Silicon Valley, four of the remaining potential jurors have had patents issued to them, including one who is named in more than 125 patents. Jurors are also being asked how often they blog or post to social media: Facebook, Twitter, even MySpace. 2:45 p.m.: After several hours of questioning by the judge, the lawyers are now getting their first chance to ask questions. Each side has 20 minutes to quiz the remaining prospective jurors. Apple’s lawyer has gotten his time, Samsung gets their time after a brief bio break. 3:15 p.m. Samsung lawyer is quizzing potential jurors individually. He asks a woman who has a pair of patents to her credit and works in technology why it is she has a basic phone, rather than a smartphone. She responded that she doesn’t like the fact you need a pricey data plan. The lawyer then turned his attention to a woman who said earlier she is contemplating an iPad purchase, asking why that is. “Apple comes out with really, really nice stuff,” she said. 3:35 p.m.: Apple renewed its effort to have excused for cause a Google employee who has patents related to Android. Koh rejected the motion, saying that the juror has answered all questions credibly and said he can keep an open mind despite his employment and ownership of Google stock options. Each side will now get to strike four of the remaining jurors without giving a reason. 4:00 p.m.: Jury of 10 picked. Google employee not among the final jurors. 4:02 p.m.: The chosen 10 getting their preliminary instructions. Opening arguments for both sides will take place tomorrow morning. Each will get about an hour and a half. 4:35 p.m.: Jury done for the day, due back at 9 a.m. to see a video about patents, then hear opening arguments.